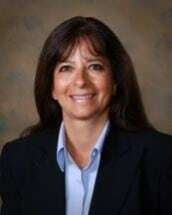 Linda Zuba practices in the areas of personal injury, health care law, public interest law, and general practice. Linda is dedicated to giving a voice to the people who need it most. She aims to protect individual rights, advance justice, and enhance the public good. Linda’s experience as a Master’s prepared registered nurse uniquely qualifies her to help individuals who have suffered a serious injury through the negligence, recklessness, or intentional misconduct of another person. Personal injury claims can be overwhelming and highly complex without the assistance of an attorney. Linda helps clients through this complicated task and she brings to each personal injury case her expertise as an attorney and her competence and sensitivity as a registered nurse. Through her vigorous representation Linda significantly improves her clients’ chances of getting adequately compensated for the injuries suffered. For over 15 years Linda practiced as a health care professional in the areas of critical care and flight nursing. Linda was a certified critical care nurse, trauma nurse specialist, nursing instructor at Saint Anthony School of Nursing, and an instructor at Northern Illinois University School of Nursing. Linda was also a certified instructor for Advanced Cardiac Life Support and Pediatric Advanced Life Support. Linda spent many years lecturing on topics that would improve the health care for critical patients. Linda has found her background in health care to be particularly helpful when assisting clients in matters related to health care and patients’ legal rights. Linda took pride in being a patient advocate and providing highly competent and compassionate care to patients. Now as an attorney Linda takes pride in being a legal advocate who provides close personal services to each client and expert compassionate advice and representation to clients. Linda believes in giving back to her community and as a result she is actively involved on community boards and committees aimed at improving the lives and healthcare for individuals and families in the Rockford area.